Premiere at the Bushwick Starr. 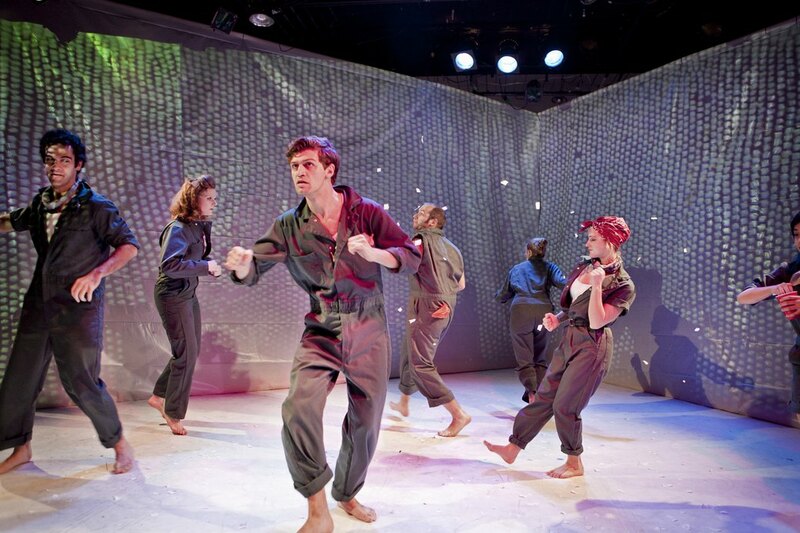 It’s been some time since the Ring Cycle at The Bushwick Starr ended, and I can tell it felt even longer. But alas! 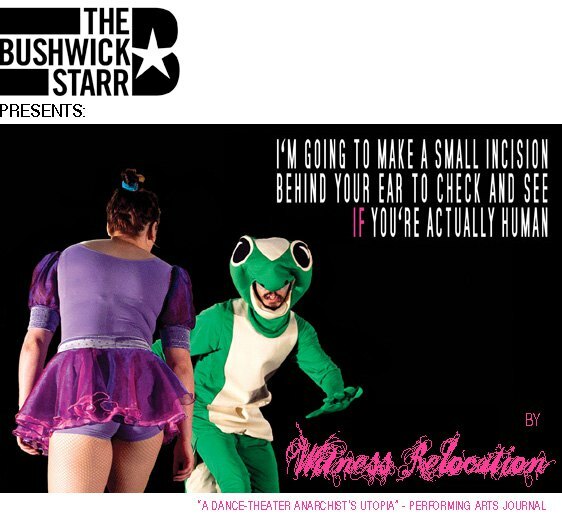 Miserable Bushwick Starr-less hiatus is over, dear art junkies and Bushwick Starr premieres new piece by Witness Relocation company just tonight! And I went to check out the preview last night. First of all some important practical good news: Despite the cold weather, the Bushwick Starr is nice, warm and cozy. So don’t hesitate and bring your dates, grandmothers, tax advisors, guinea pigs or just… friends and feel free to melt into your chairs. I’m going to Make a Small Incision Behind Your Ear to Check And See If You’re Actually Human is a dance/ theater/ installation/ chance operation comprised of 30+ segments presented in random order every night. The segments include acts of mayhem and panic with a plot about possible invasion and some high energy dance numbers. 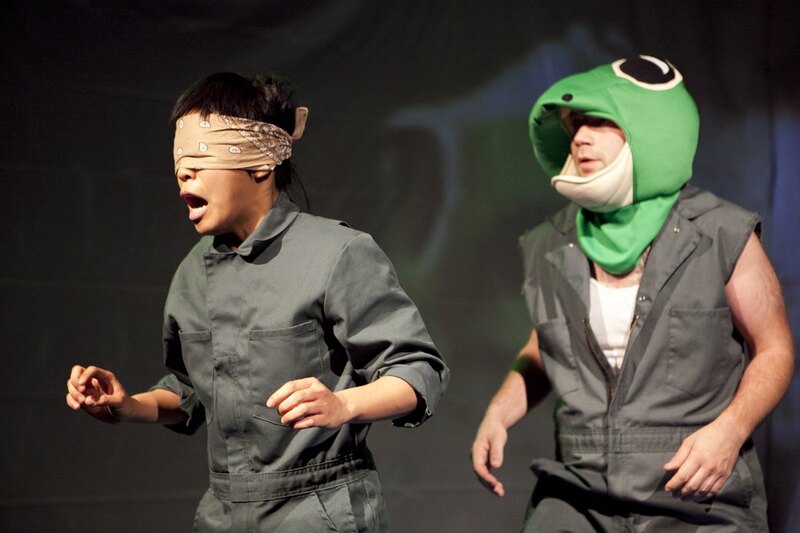 You might see scenes from the TV show “V”, blind-folded wresting with a frog, random babbles about lost virginity and not calling your parents. 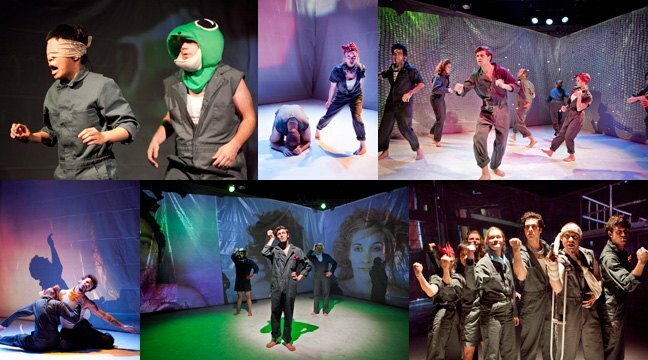 Somehow despite all the uniforms, lizard costumes that the performers are wearing and the catastrophic video installations, I can relate to the message so much. In fact the play is about me. And about that girl at the table next to me. And about that guy on a bike. And most likely about you too. Witness Relocation at the Bushwick Starr, Brooklyn, December 2010.